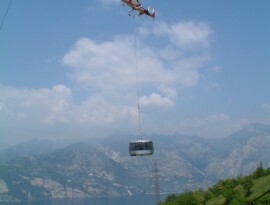 In order to promote and substain tourism at Lake Garda a consortium between the provincial administration and the chamber of commerce of Verona together with commune of Malcesine founded since 1955 the Azienda Trasporti Funicolari Malcesine – Monte Baldo (Funivia Monte Baldo Malcesine). 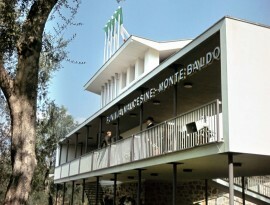 Its board of directors is composed by represents of all social and economic realities operating at Lake Garda and the administration community Baldo. 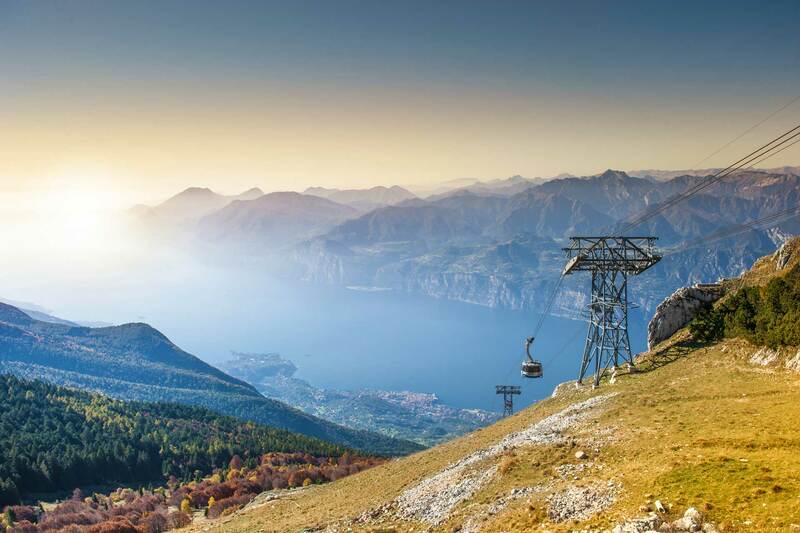 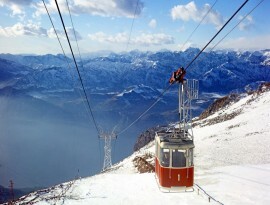 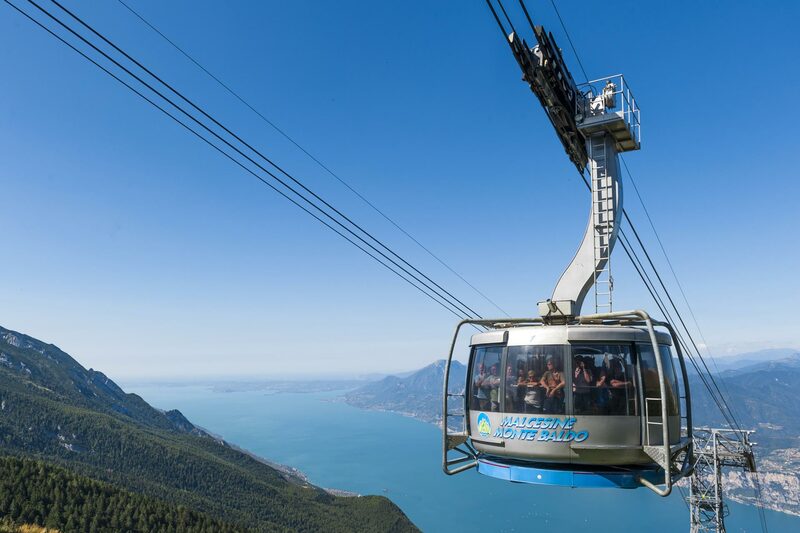 The cable car Malcesine Monte Baldo at Lake Garda is more than a tourist highlight with the scope to keep alive the mountain economy, it also creates labour. 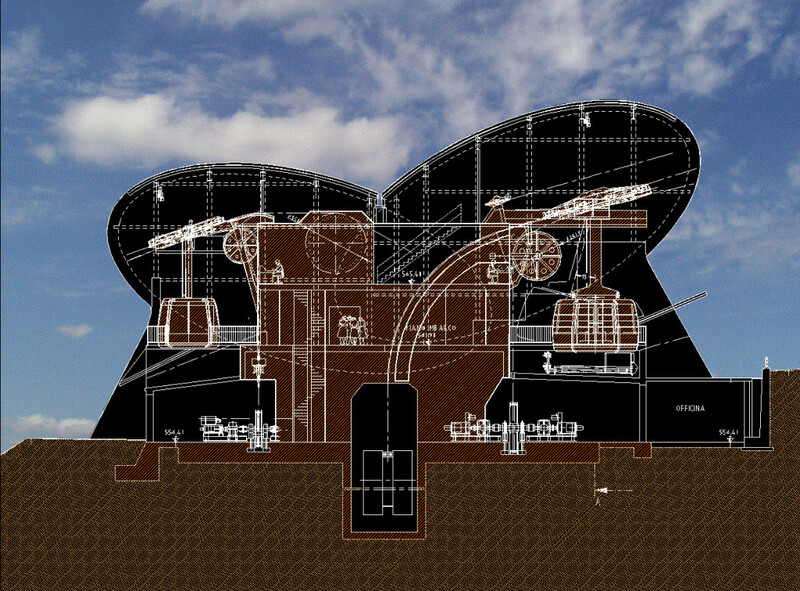 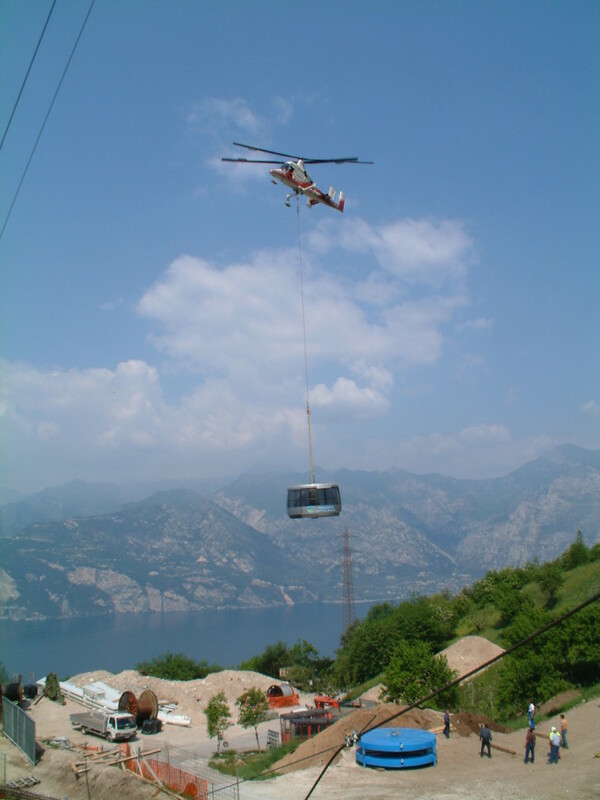 Infact, the plant needs highly qualified technicians and administratives, and an extremely competent management. 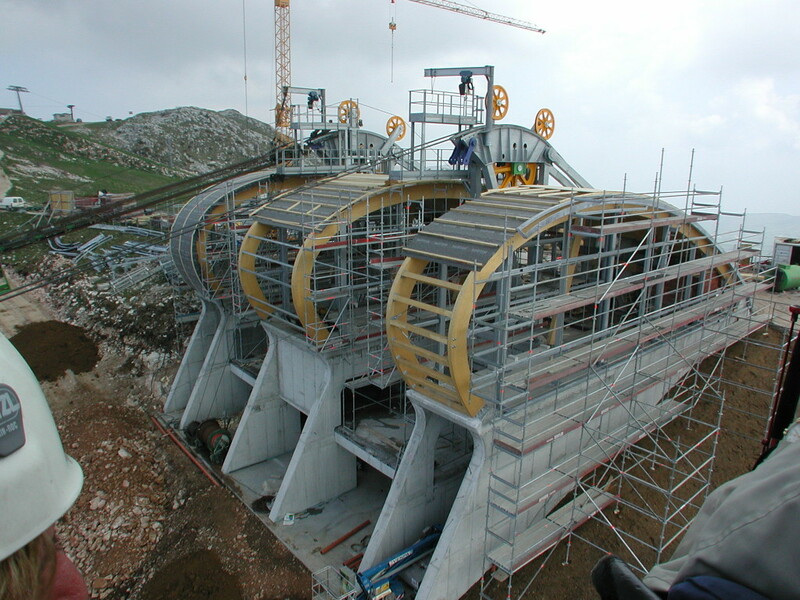 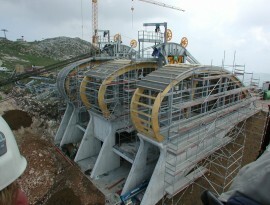 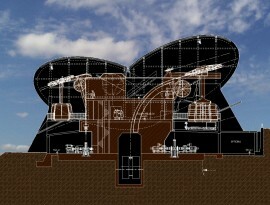 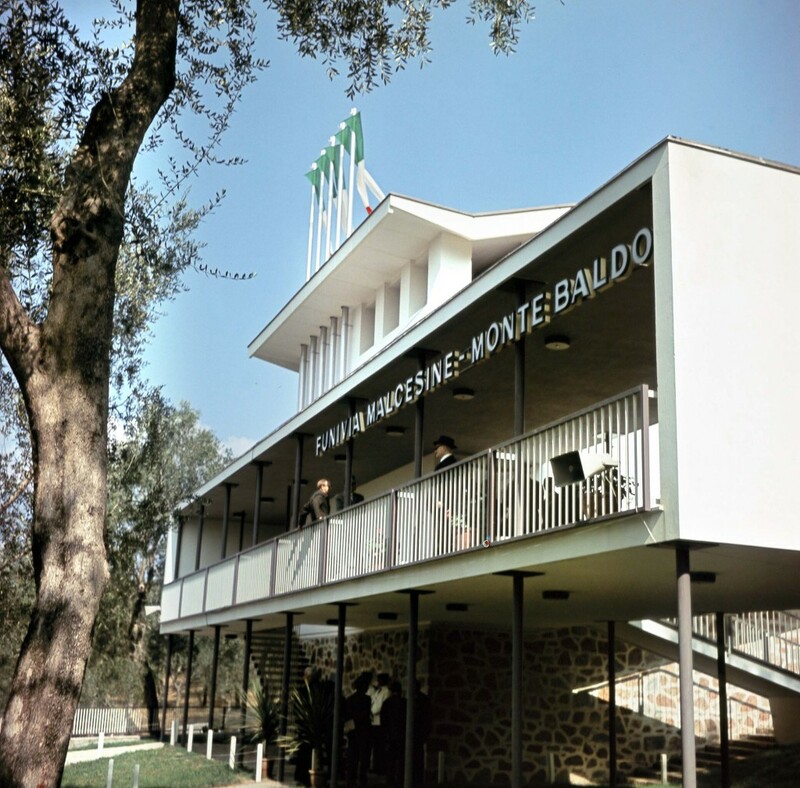 After the decision to renew the Funivia Malcesine-Monte Baldo plant, which from 1962 to 2001 had transported more than 6 million passengers, a long and accurate planning phase followed, based on studies carried out by the engineering faculty of the University of Trento. 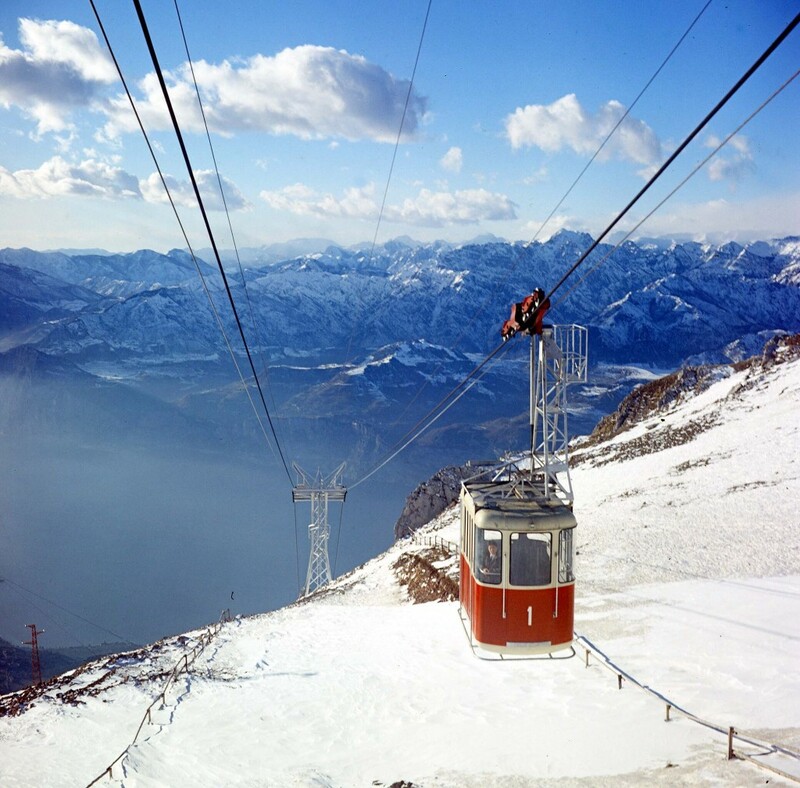 The consistent choices are fundamental for the today’s success visible to everyone. 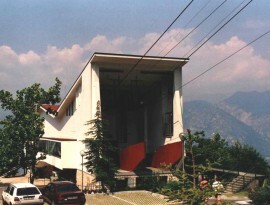 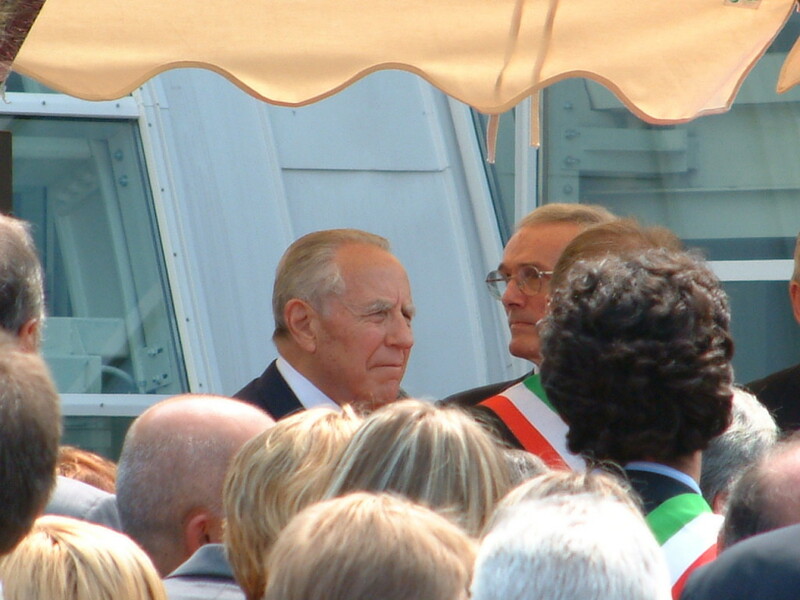 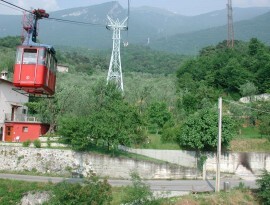 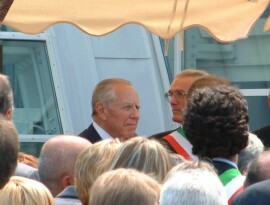 The 24th of July 2002, with the presence of the President of the Republic Carlo Azeglio Ciampi, the new cable car was reopened. 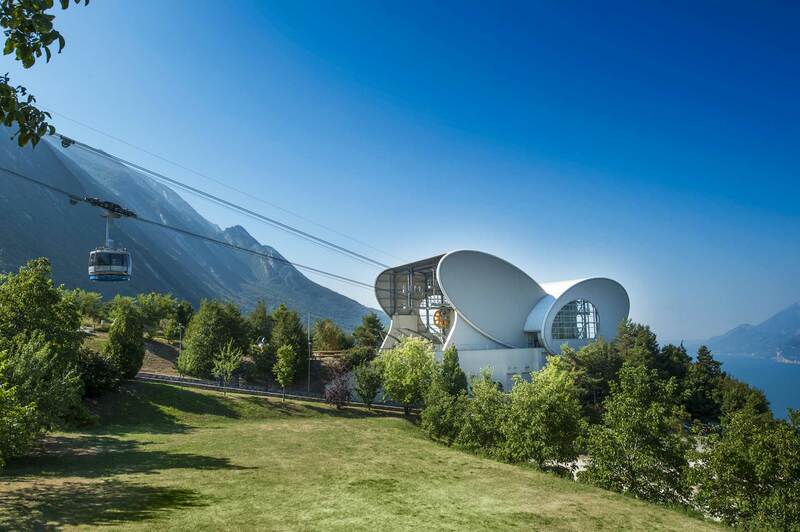 The futuristic shapes of their stations captivate at first sight: buildings of distinct architectural elements, where steel, glass, wood and stones merge together enhancing the brightness and transparency of the internal spaces and fitting gracefully in the environment. 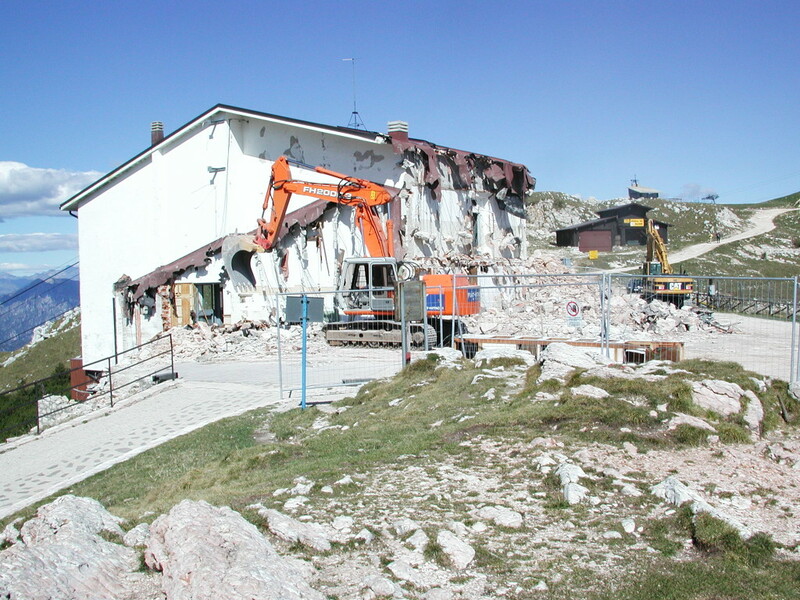 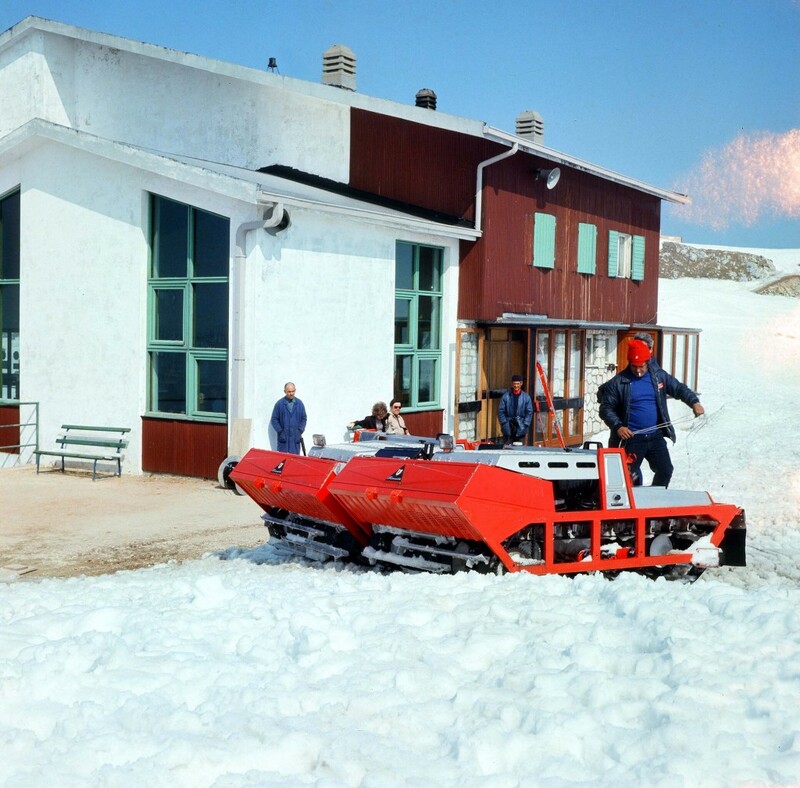 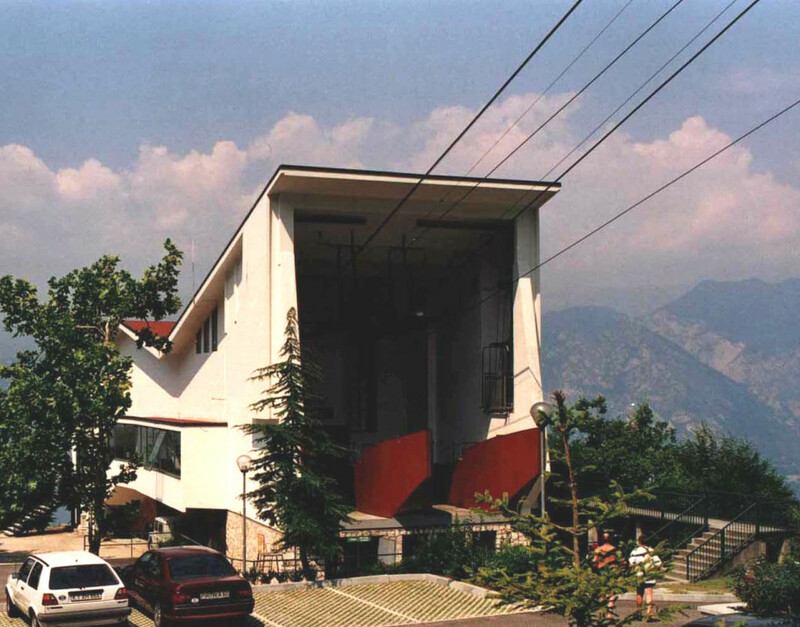 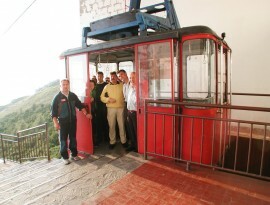 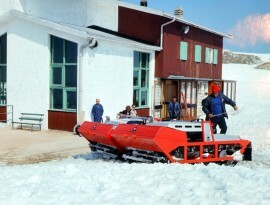 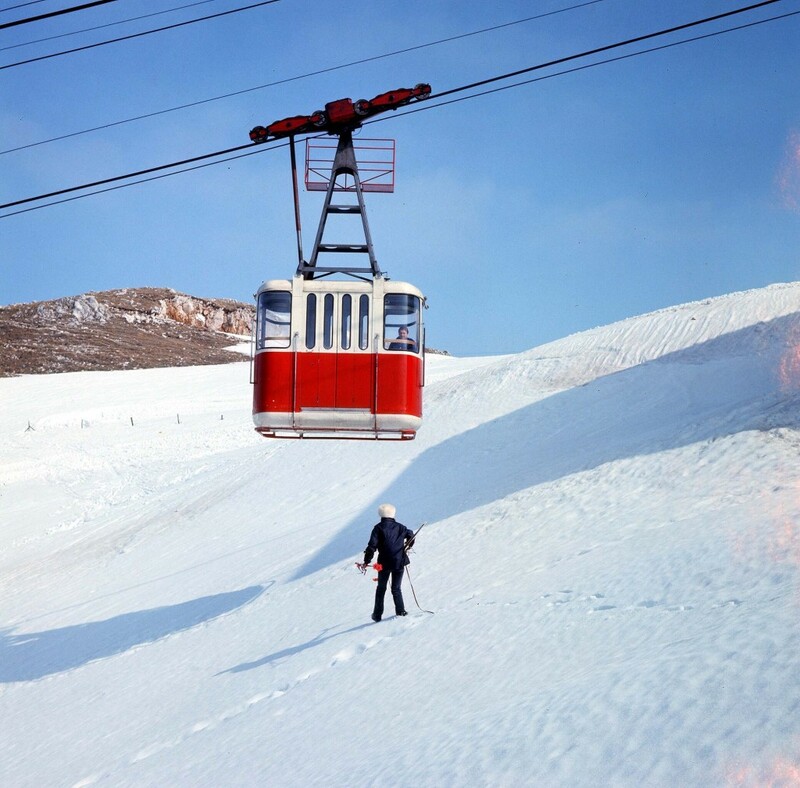 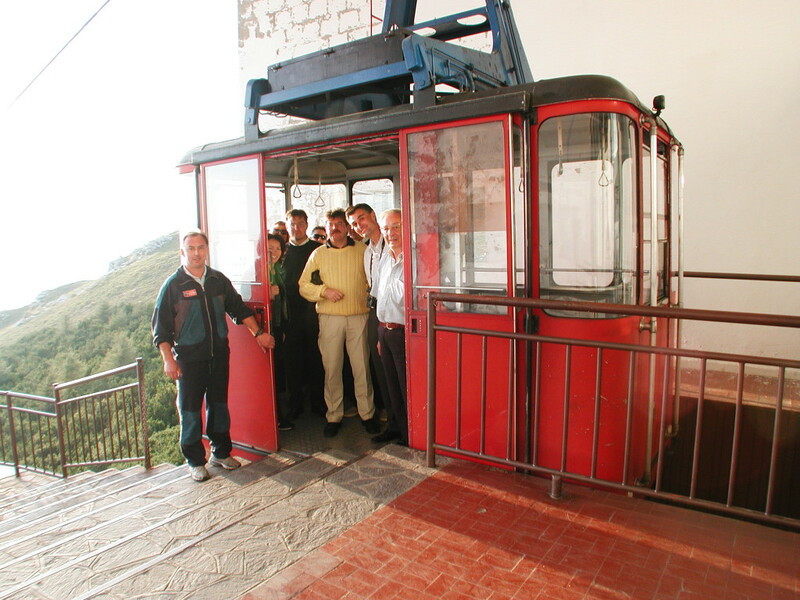 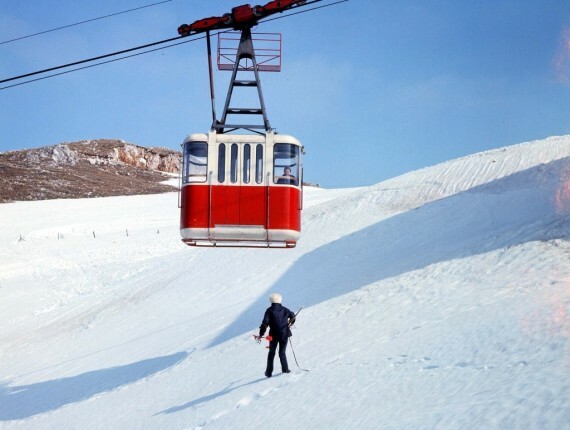 Since the realisation of the first cable car Malcesine – Monte Baldo, a matter close to General Alberto Pariani’s heart, and its opening in the presence of the head of State Antonio Segni, more than 50 years have passed. 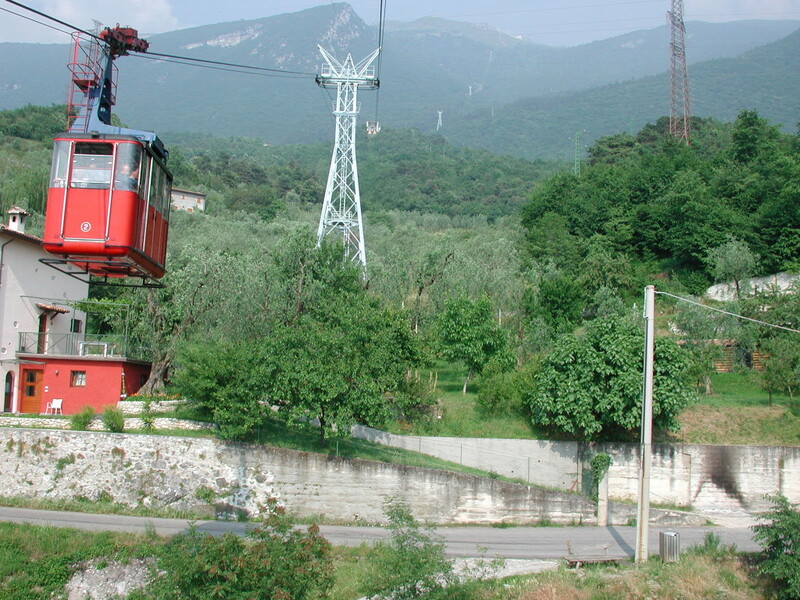 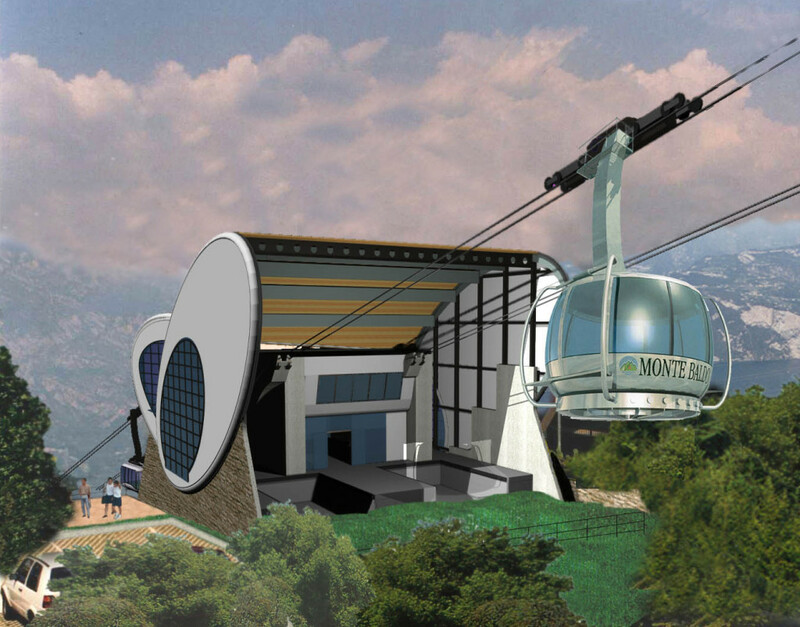 The supporters of that project probably would never have imagined that 50 years later, with the realization of a new, highly technological plant, the cable car Funivia Malcesine Monte Baldo would become one of the most frequented in the world.